Serving an all plant-based Passover dinner can be challenging but when you’ve got recipes like these, you know that the meal will be delicious, healthy and traditional. Fitting restricted diets into an important traditional holiday can turn out to be quite satisfying and won’t sacrifice the underlying meaning or significance! These recipes are so great that you’ll want to go back to them all throughout Passover week. 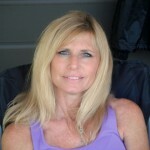 Creativity, motivation and Vegan American Princess are all you really need! 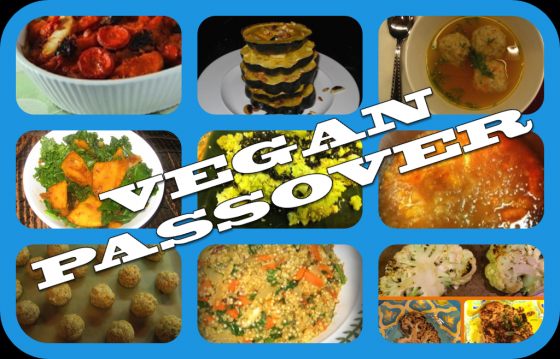 Vegan American Princess has so many recipes on our site that would be perfect for Passover, it was hard to choose just a few. These will stay true to the spirit of the holiday and all your seder guests will enjoy them! Let the broth cool until it’s an okay temperature to handle. Strain into a large bowl through cheesecloth or a very fine-mesh strainer. Press the vegetables with a gentle but firm pressure to get all the moisture out. 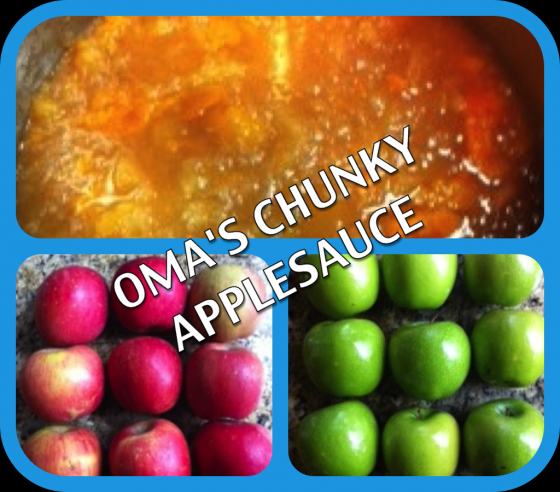 This will keep in the fridge in a tightly sealed container for up to 3 days, or freeze for up to 3 months. Crumble the tofu into a blender or food processor, add 1/2 cup of the vegetable broth, and puree until smooth.Add the oil and blend again. Mix the tofu mixture with the matzoh meal, making sure that everything is moist. Grate half the carrot into the mixture and mix until it’s well distributed. Cover the bowl with plastic wrap and refrigerate for at least an hour and up to overnight. You can’t skip this step! It’s important in making sure that the matzoh balls will not fall apart when boiled. Set out a cutting board upon which to line up the formed matzoh balls, and cover it with parchment paper if you have any, to prevent sticking. Remove the matzoh mixture from the fridge. Form into tightly packed, walnut-size balls and place on the prepared cutting board. When all the balls are prepared, drop carefully into the boiling water, one or two at a time, with a spatula or slotted spoon. Take your time and be careful not to plop one on top of another. When all the balls are in the water, cover the pot, lower the heat to a low setting and DO NOT LIFT THE LID FOR FORTY MINUTES!!! When the 40 minutes are up, you can remove the lid. The matzoh balls will have floated to the top. If you wait a few minutes, they will drop back down to the bottom of the pot. Prepare the remaining vegetable broth by placing it in a separate pot, grating the other half of the carrot into the broth, along with a healthy handful of fresh dill. Bring to a low boil, and when it’s just heated you’re ready to prepare the bowls. With a slotted spoon, carefully remove the matzoh balls from their pot and place two or three into each bowl. Ladle the broth over the matzoh balls, so that they are covered only about halfway. You can garnish with some more fresh dill, or parsley. 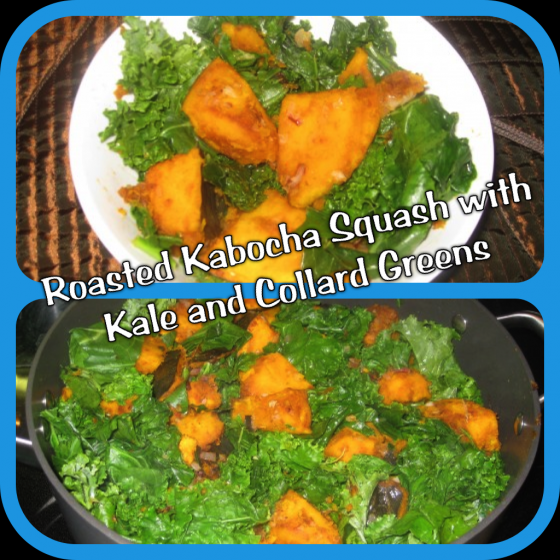 Cut the kabocha squash in half and scoop out the seeds. Cut the squash into chunks, leaving the skin on. Roast the squash for 30 minutes, stirring occasionally. 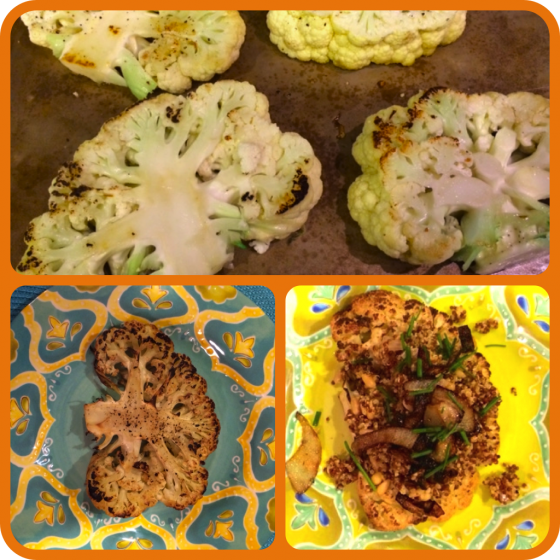 When squash is done (it should be tender), remove from the oven and set aside. 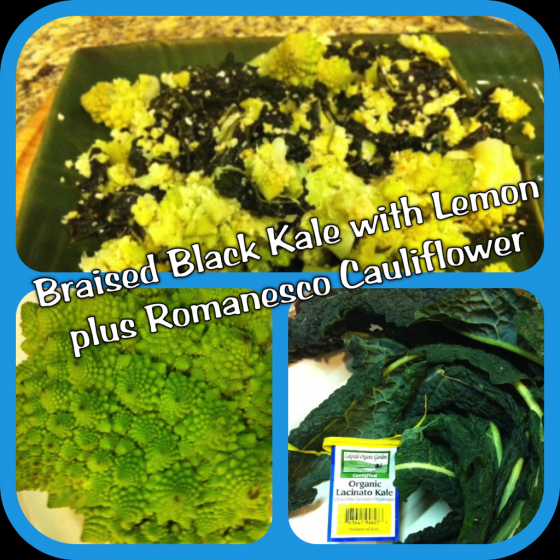 I added romanesco cauliflower as a nice addition! Add the onion and saute until soft and translucent, about 4 minutes. Add the garlic and quinoa and cook for about 1 minute, stirring occasionally. Do not let the garlic brown. Add the vegetable broth and bring to a boil. Reduce the heat to low and simmer until the quinoa is almost tender to the bite but slightly hard in the center, about 12 minutes. The mixture will be brothy. 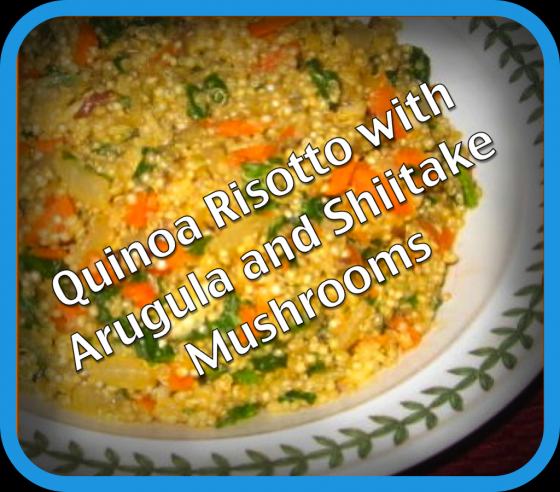 Stir in the arugula, carrot, and mushrooms and simmer until the quinoa grains have turned from white to translucent, about 2 minutes longer. Stir in the vegan parmesan cheese (optional for Passover) and season with salt and pepper. Coat a shallow dish or baking sheet with cooking spray. Cut the squash into 1/2 inch thick rings (TIP: for easier cutting, microwave whole unpeeled squash for 3 to 5 minutes) leaving the peel intact. Scrape the seeds out of the center of each ring and discard. Place rings in the prepared baking dish in a single layer and brush them with 1 1/2 teaspoons of oil (I sprayed the rings with olive oil from a MISTO sprayer), and sprinkle with 1/8 teaspoon of the salt. Bake for 15 minutes. Meanwhile, in a small bowl, toss the garlic with the remaining 1 1/2 teaspoons of olive oil. 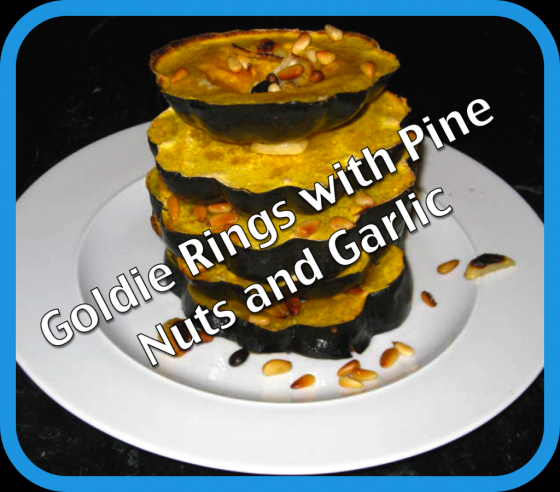 Sprinkle the garlic, olive oil and pine nuts evenly over the squash rings and continue baking until the squash is tender and the pine nuts are lightly browned, about 10-15 minutes longer. 2) Heat the oil in a large skillet. Saute the onions over medium heat until they are translucent. 3) Add the carrots and continue to saute until onions and carrots are golden. 4) In a mixing bowl, combine the onion-carrot mixture with all the remaining ingredients except walnuts. 5) Mix thoroughly; don’t worry if the potato slices break apart. 6) Transfer the mixture to a large, oiled, shallow baking dish (a round or oval is attractive). 7) Sprinkle the optional walnuts over the top. 8) Bake for 45 to 50 minutes, or until the top begins to turn slightly crusty. 2) Press into a baking dish. 3) Bake at 375ºF for 45 minutes, until crisp on top. Hi. I like to do as much as I can prior to the holiday. 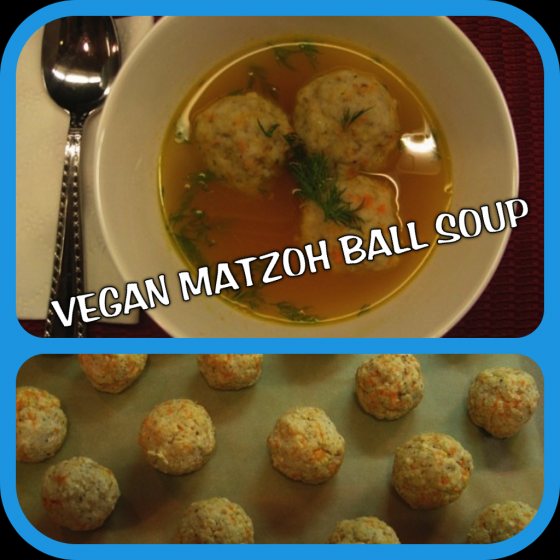 Can the matzoh balls be cooked and then stored in fridge? Sorry for the late answer, but yes. Absolutely! You’ll know for next year. I know you’re trying to be helpful, but tofu is NOT allowed on Passover, so the matzoh ball soup recipe is not a Passover recipe. Well, this is true if you are Ashkenazi , but the Sephardim do not follow the same dietary restrictions and many things that are not eaten by the Ashkenazi are perfectly acceptable – legumes being one of them. 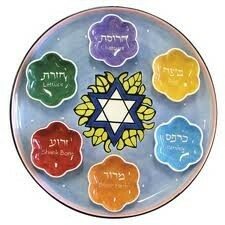 Many Passover dishes are based on legumes, rice and other ingredients European Jews choose not eat. In addition, these distinctions are not based in scripture but from other sources which are not universally observed across all practicing Jews. While many consider them sacred, and are thus respected by others of course, that does not mean that everyone is obliged to follow them. So please do not be so quick to comment about what is and isn’t kosher for Passover. I refer you to the many websites which offer absolutely wonderful vegan and vegetarian Sephardic Passover recipes. Thanks Ellen for awesome recipe. I can’t wait to try it now. Hello, as of last year kitniyot is allowed for Ashkenazi Jews so Tofu should be fine, although not traditional. 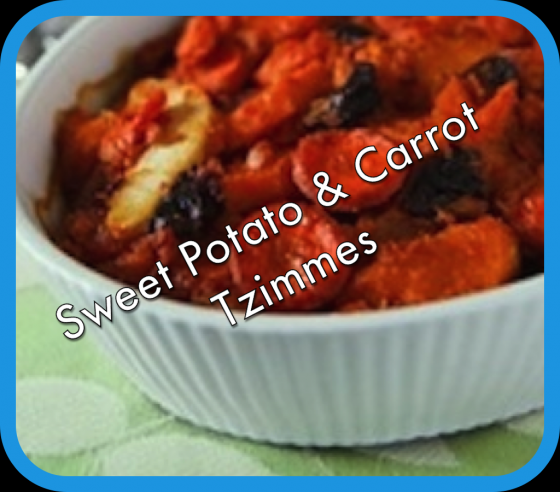 can the sweet potatoe kugel be made in advance and frozen?